With the explosion of craft breweries nationwide over the last thirty years, it's important to consider the unique insurance risks involved in this rapidly emerging industry. Liquor liability: Regardless of whether you have a full service bar or offer beer tastings after tours, liquor liability is essential to cover damages to persons and property caused by patrons who were over-served at your establishment. The world of craft brewing is rapidly expanding, and as it does insurers are becoming increasingly effective at identifying and addressing its diverse risks. New combinations and specially structured coverages are constantly being made available to brewers. 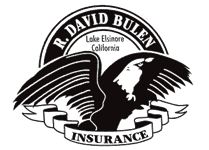 By working with the experts at R. David Bulen Insurance, you can be sure that you are being provided with the latest options in brewing coverage. Let us help you build a comprehensive package that will cover all of your exposures, no matter how unique.